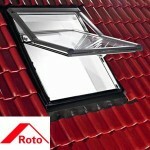 Whilst some window manufacturers like Roto have their own definite style, there are many that appear to me to be exactly the same as the Velux windows I was fitting over 10 years ago. 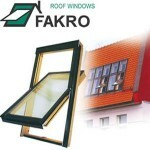 To be more specific, sizes and dimensions, finishing and flashings are the same, details like handles and hinges e.t.c. This makes me wonder if another company or a sub division of Velux themselves are manufacturing them using the same tooling machines and rebranding them for suppliers. That said they are normally cheaper and still come fully guaranteed. 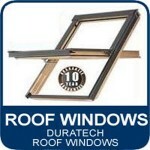 Roof windows – Normally finished internally in Pine or white U.P.V.C. 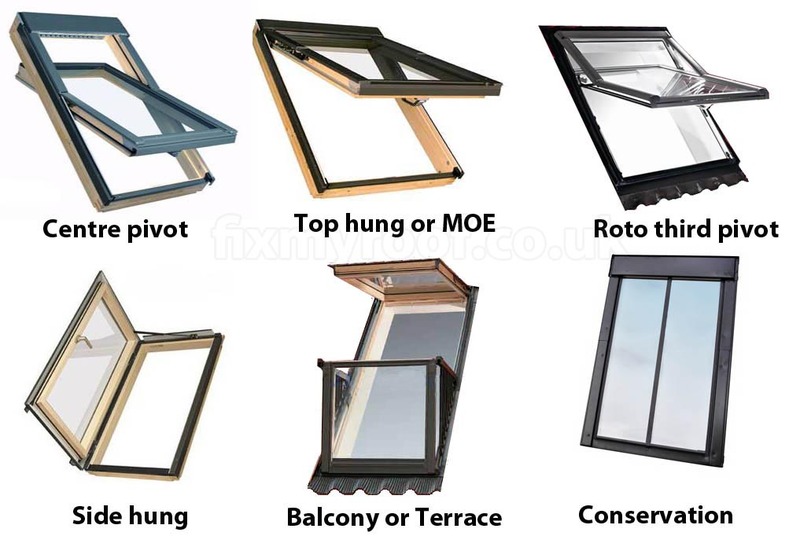 The next choice is to pick the type of opener you require – Centre pivot – Top hung – Means of escape (MOE) – Conservation – One third opening – Side hung – Balcony and terrace. What is the best roof window – I’m afraid there is no simple answer it depends on budget and features, most come guaranteed for a minimum 10 Years, Velux and Roto probably currently have the nicest aesthetics internally for handle detail and finish. 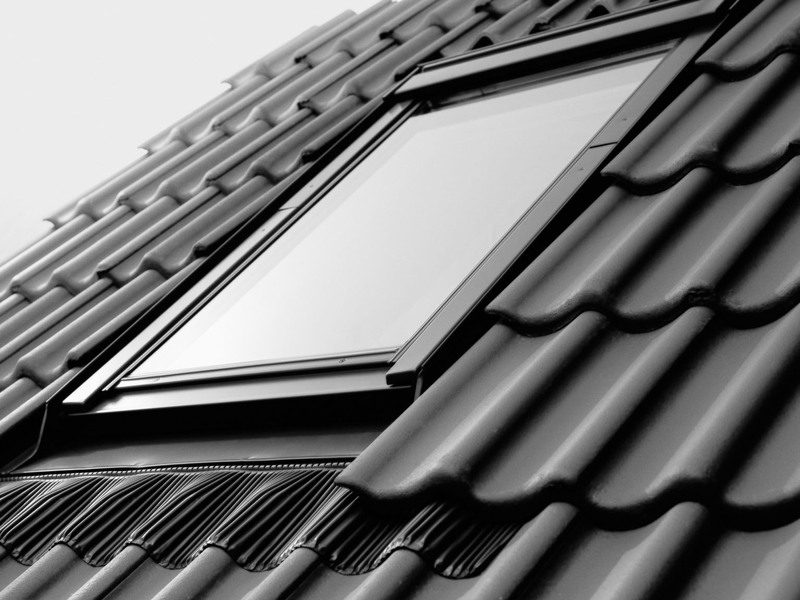 Although at the moment here in the U.K. Velux roof windows seem the be the market leader in terms of popularity, there are many other makes you may wish to consider. Here are a few of the most common and freely available, but more and more window manufacturers seem to pop up every day. 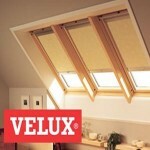 Velux roof windows probably the best know roof window maker in the UK, so to see its own dedicated page please click the Link below or the picture to go to the Velux website. 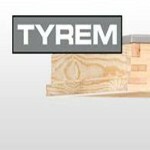 Currently four flashing sets available, Tile, Slate, Universal and Combi. 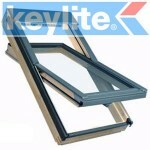 Keylite roof windows – again a very common window manufacturer these days with a large range of window types… Centre pivot – Top hung – Fire / Means of escape – Conservation – Vertical Bi-Lite – Ridge line – Flat roof and White finish. A large array of flashings available, see website for details. 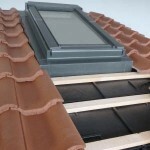 Forticrete roof windows are relatively new to the market from an established and respected roof tile manufacturer. 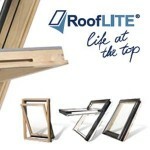 The main selling feature of these however is the extremely low angle of roof they can frequent without leaking. Usable down to a s little as 10 degrees of pitch. IMPORTANT – Please check that the flashing kit you need fits the angle of your roof, lots of people including local planning officials get caught out by looking at the minimum angle stated for the Window but forget the Flashing set has a minimum angle also. 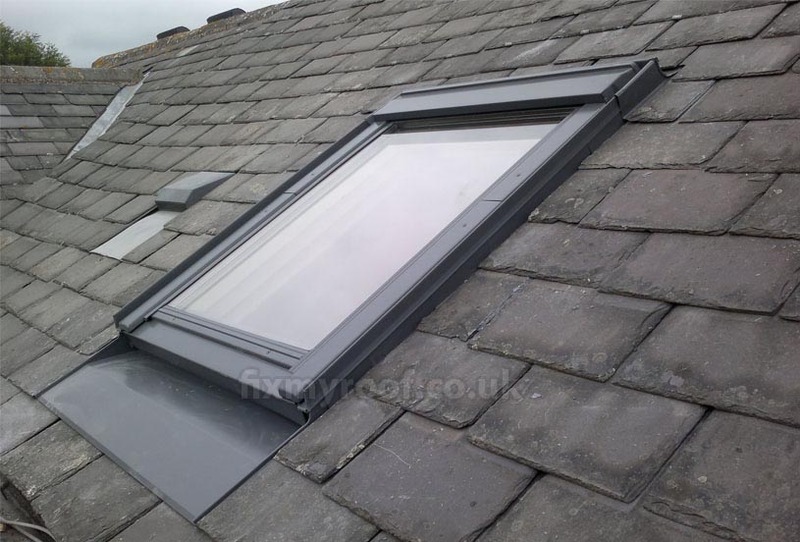 If you live in a conservation area or you would like a more subtle window install consider a low profile flashing kit, pictured below are the Velux examples. 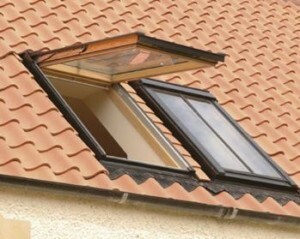 This is a Velux window fitted with the low profile flashing set – EDN Obviously other makers have other codes and they are subject to change. This is a Velux window fitted with the low profile flashing set – EDJ Obviously other makers have other codes and they are subject to change. Sun tunnel – Have you considered a sun tube instead? Old Velux window codes – Cannot find a serial number?